New product and company launches, certifications and other natural products company news this week. Revolution Foods taps the speed scratch trend with its new Dinner Hero and Breakfast Hero meal solutions. Dinner Hero is a meal kit that includes whole grains, spice blends and sauces with easy-to-follow recipes, and comes in four varieties: Coconut Curry, Sesame Garlic, Smoky Tomato Sausage and Fiesta Taco. Breakfast Hero is a thaw-and-pour pancake batter made with whole milk, eggs and whole grains. E-Gem Oil Drops from Carlson Labs are back with a new look. They provide natural vitamin E to help moisturize and hydrate skin, leaving it looking and feeling softer. E-Gem Oil Drops can be massaged into the skin or added to a bath and are available in two sizes—.5 oz. 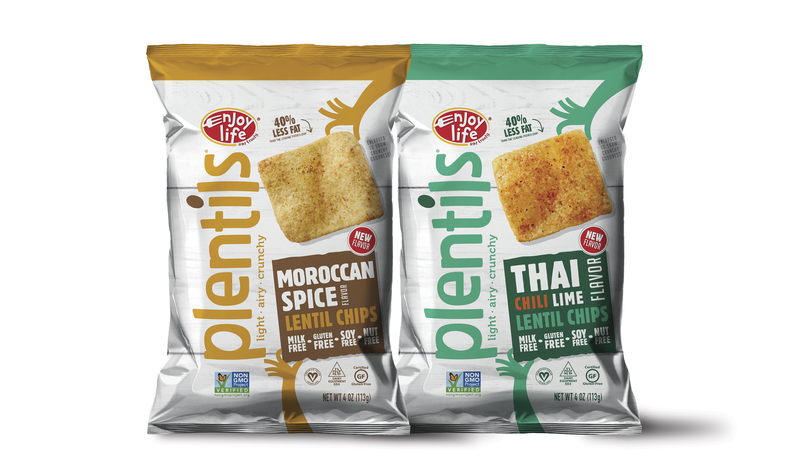 with 5,000 IU of all-natural vitamin E and 2 oz., with 20,000 IU of natural-source vitamin E.
Enjoy Life Foods launched new exotic flavors of its Plentils snacks in Thai Chili Lime and Moroccan Spice. 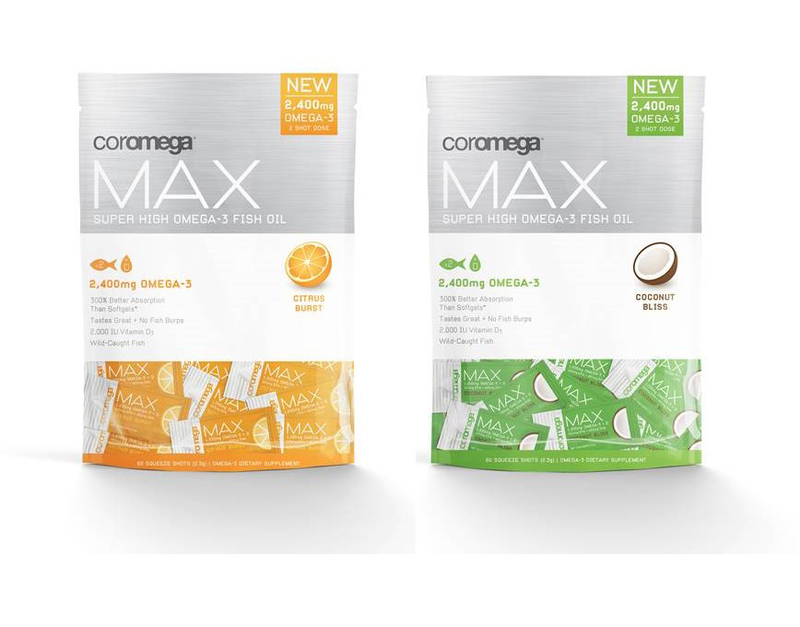 Fish oil company Coromega has unveiled new Coromega Max, a potent omega-3 squeeze that delivers Coromega's highest omega-3 dosage in two delicious flavors: Orange Citrus Burst and Coconut Bliss. A recent study in the Journal of Lipids found that Coromega’s omega-3 supplements provide exceptional bioavailability of omega-3s compared to soft gels and other emulsified liquids. P2Binvestor, a marketplace lender that provides growing businesses with debt capital through a crowdfunding model, announced today that it has raised $7.7 million in Series A1 funding led by Rockies Venture Club, the largest angel investor network in Colorado, and Future Venture Capital Co., Ltd., a Japanese venture capital firm with its U.S. subsidiary, FVC Americas. Two new vegetarian formulas are available from sho Nutrition: sho ENERGY+, which contains B vitamins and matcha to boost energy metabolism and cognitive performance, and sho BALANCE, which contains probiotic and prebiotic blend for digestive and immune health. They are packaged in a portable daily tracking dispenser. Bare Snacks is giving snack lovers everywhere a reason to rejoice with the availability of its new line of bare Organic Coconut Chips as an add-in ingredient to Bear Naked Custom Made Granola blends. Customers can now choose from three on-trend bare coconut chip flavors—Toasted, Coffee Bean and Sweet Ginger—to customize their Bear Naked granola at BearNakedCustom.com. A new joint venture between Creekstone Farms Premium Beef and Pasture One, an industry leader in grass-fed beef, holistic ranch practices and animal welfare, aims to expand Creekstone Farms' product line and build Pasture One's distribution capabilities. MALK Organics introduced a holiday flavor to its line of creamy plant-based beverages: Pecan Nog, a cold-pressed dairy-free nog made with pecan milk, cinnamon and nutmeg. Tonight, Catharine Arnston, founder and CEO of Boston's ENERGYbits, will make her pitch to investors on Shark Tank. ENERGYbits makes plant-based, high protein algae tablets. Greens First Female introduced the launch of a new line of products tailored to meet the needs of women during menopause. The complete line of Greens First Female is slated to include: Original Mint, PMS, Fertility, Pre-natal, Menopause, Green Tea Vitality enhanced with Moringa and Women’s Health Probiotic.